Your little darling will look adorable as you dress her in this lovely set. 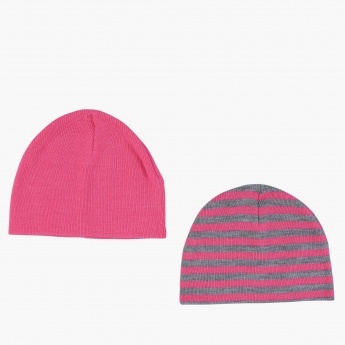 Soft and smooth, these caps will keep your kid warm and cosy in a cold weather. Among these two caps, one is striped while other exudes elegance.